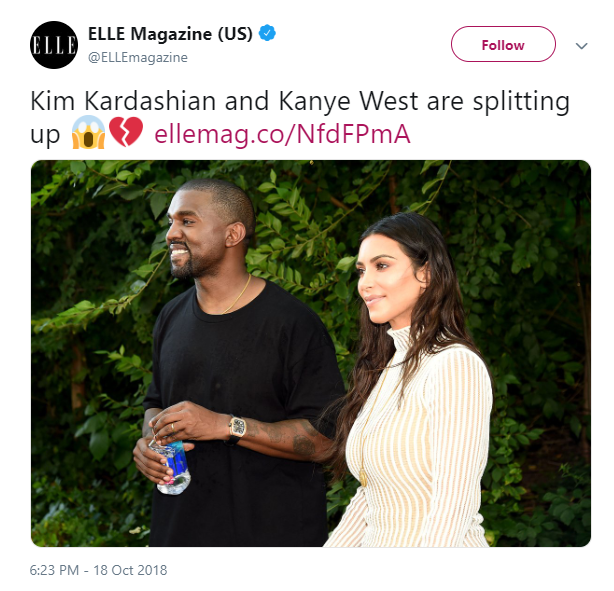 Elle Magazine has apologized for their “bad joke” which saw the publication post a false ‘breaking news’ tweet about the break up of Kim Kardashian and Kanye West, in an effort to lure readers to a voter registration site. Just hours after sharing the misguided post (which has now been deleted), the publication was forced to apologize for misleading their peeved readers who accused Elle of being shameless and condescending. Hot tip: Women are fully capable of being self-actualized people who can be interested in pop culture news AND the current political landscape, @ELLEmagazine.